The mount only has 1 pin on the lens, work much like the pin in the M42 mount. The camera body has a plunger to stop down this pin while taking picture. This type of mount is ideal for used on the SL 35 as the body was designed to work in stop down metering fashion. On later models the bodies had a stop down button to activate camera metering with the lens stopping down. In the photo below you can see the stop down pin at 2 o'clock position, nothing else but the manual/auto switch between the 8 and 9 o'clock position. The stop down pin in QBM 1-pin mount remained. Now there was an additional pin for mechanical aperture information transfer from the lens to the camera body. 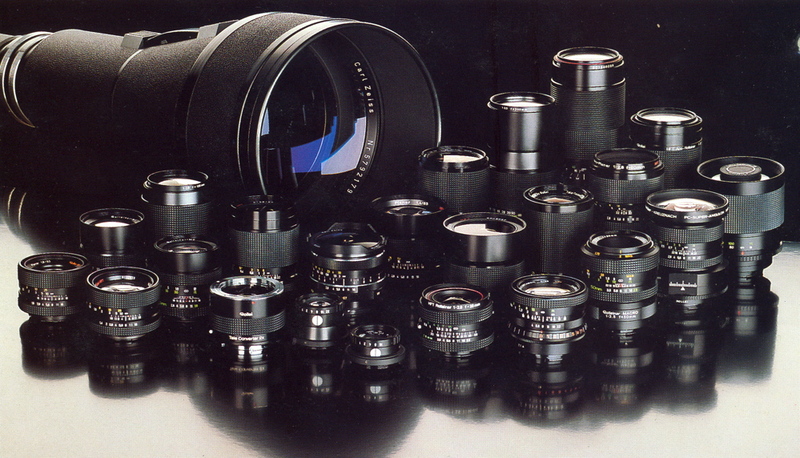 This type was designed to be used in open aperture metering mode for camera models from SL 350 onwards. Aperture indication was via a optical window for models SL 35 M, SL 35 ME and SL 35 E. However there would be no aperture indication for model SL 2000 F and 3003/3001. As shown below, in the top picture the stop down pin is at the 1 o'clock position, the aperture pin is at the 8 o'clock positon. 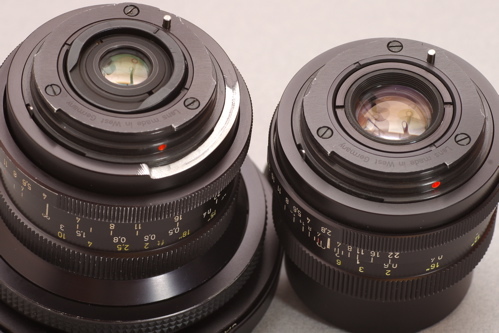 The lens on the left is an 18f4 Distagon modified to enable LED aperture display in SL2000F/3001/3003. 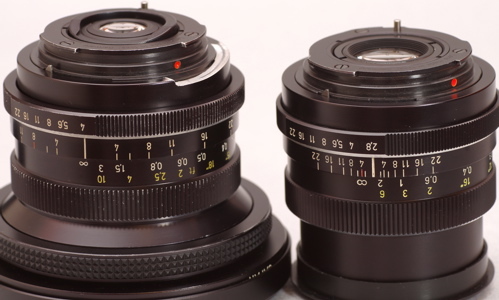 The bottom picture shows more clearly a 2-pin lens with modified groove and the original 2-pin lens. The latest version of the QBM mount for SL 2000 F and 3003. The 2 pins were functioned identical to the QBM 2-pin type. 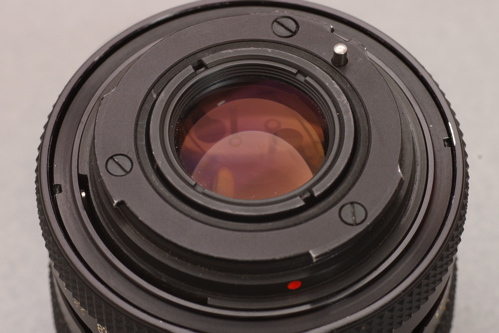 There was an additional groove on the rear of the lens which would work with a pin from the SL 2000 F/3003 body to give LED aperture indication in the camera viewfinder. 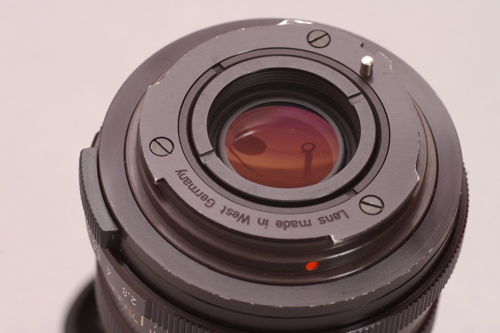 For lenses of QBM 2-pin type, a recess could actually be made so that the lens can be used on SL 2000 F/3003 with aperture indication.